As already advised, we will again be holding an annual dinner in March. 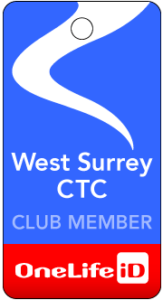 This is our main social occasion of the year, and is an opportunity for anyone who is associated with West Surrey CTC in any way to get together for what we hope will again be a very enjoyable evening. It will also include the presentation of awards, both formal and informal, by our President, Keith Chesterton.
) 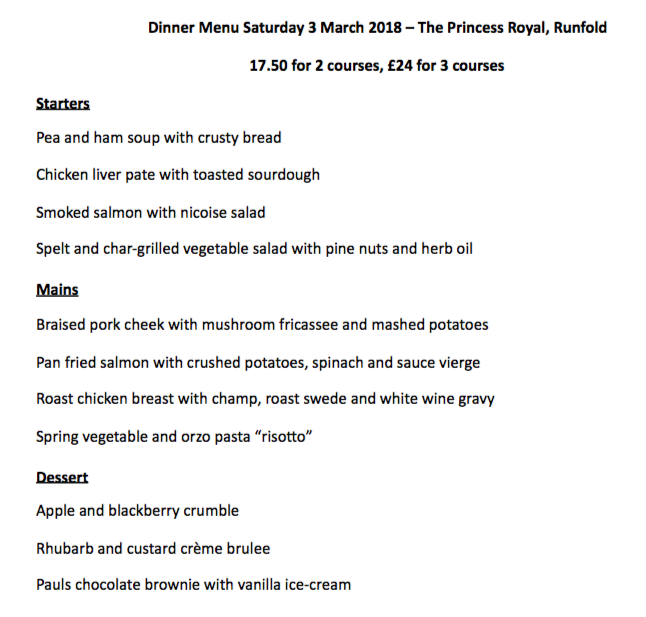 or ‘phone (01276-681131), advising names of attendees and menu choices; you will receive a response advising how payment should be made, either by bank internet transfer (preferable but not essential) or cheque. All bookings should be made by Wednesday 21 February at the latest; why not book immediately. For any queries about the evening please also contact John.